Windsor Oaks Vineyards - Sonoma Wineries - 10810 Hillview Rd. This 710 acre estate boasts many diverse microclimates and rare soil/slope combinations. The result is 18 different varieties of grapes with diverse characteristics. 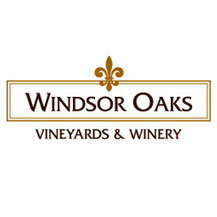 Although they sell their grapes to a number of top-tier wineries in the area, they also handcraft small quantities under the Windsor Oaks label. Working together, viticulture and winemaking experts spare no expense to create vineyards that produce the best quality fruit.